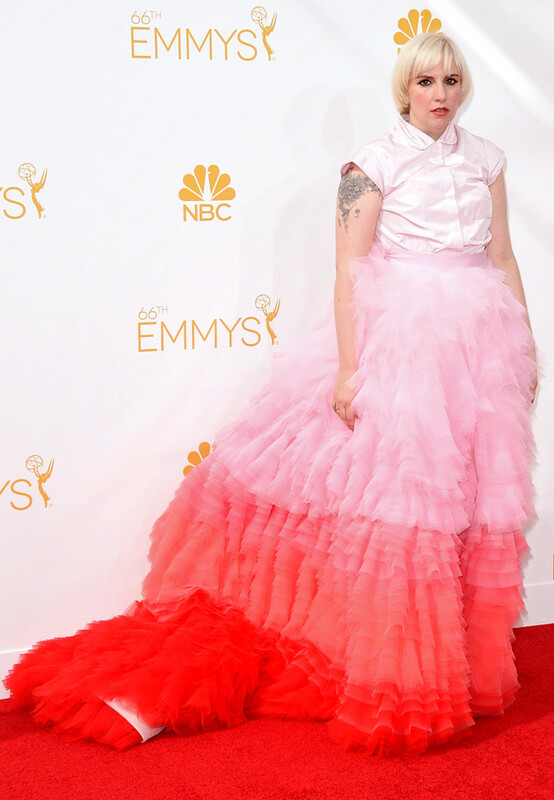 I loved Lena Dunham in her Giambattista at the Emmy’s. Sure, she doesn’t look like a catwalk model but that’s because – newsflash – she isn’t. She’s a normal looking female rocking her designer glad-rags and rock-chic bleached blonde hair. Way to bring Haute Couture to real(ish) life.